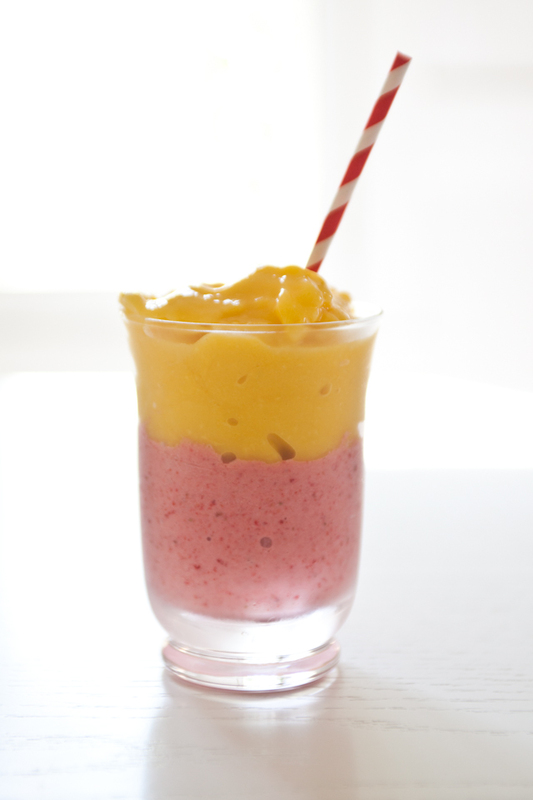 We named this refreshing and delicious smoothie after our wedding sunset… it was stunning… the colors resembling sherbet. 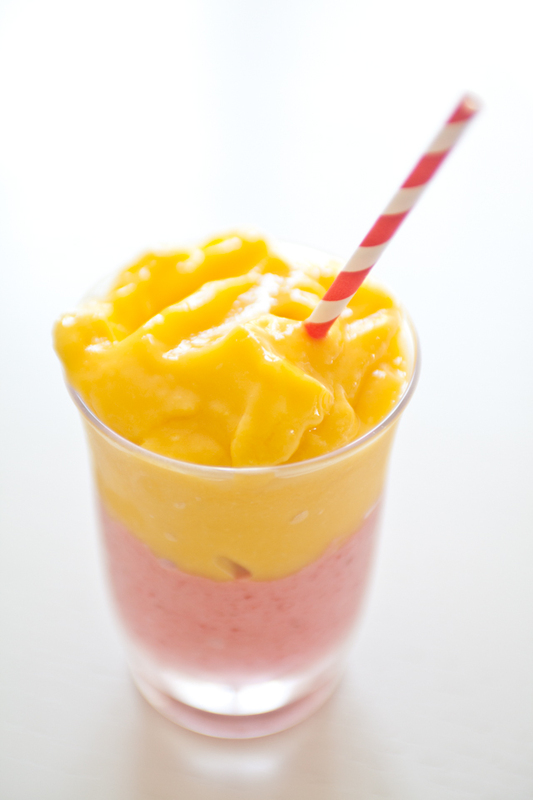 The beautiful soft orange and red hues of this smoothie bring a smile to the face just like that sunset did months ago. While this is no green goddess in the nutrition category… don’t write the Wang Sunset off too soon… mango and strawberries carry their own weight. For those of you who don’t care to have a salad bar in your smoothie…this will be the one for you! Strawberries – they are a unique blend of antioxidant and anti-inflammatory nutrient dense berries. They support prevention of cardiovascular disease and decrease the risk of type 2 diabetes! Mango – rich in pre-biotic fiber, vitamins and minerals such as vitamin C, A, folate and moderate amounts of copper which aids in the production of red blood cells! Blend the coconut milk, strawberries and agave. Pour into glasses. Blend the orange juice and mango. Add on top of the strawberry smoothie. LOVE the name:) in fact I love how you name a lot if your concoctions!